Our highchairs stimulate the appetite ! Designed for the comfort and safety of the child, so consequently the tranquility of the parents, they offer impeccable stability, and are manufactured with the latest standards. Designed for catering professionals, they are easy to move thanks to the four swivel wheels and thanks to our nestable design, easy to store. 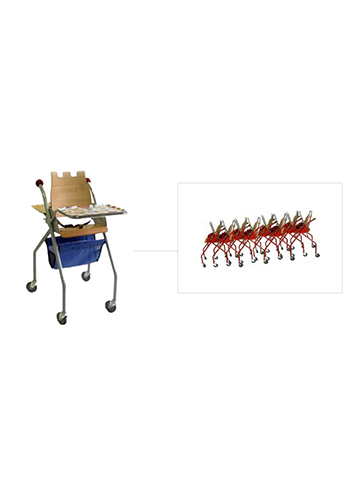 Customizable at plate, backrest and color of the chassis, they adapt to the atmosphere of the different premises. 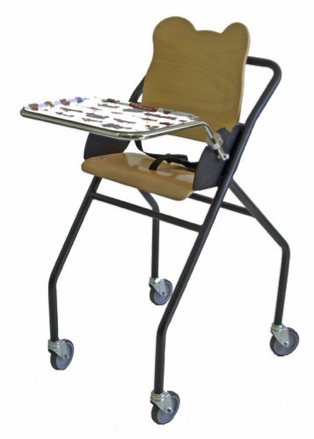 Unique on the market and dedicated to self-service dining areas, the high chair ” cafeteria ” is designed to facilitate the movement of the adult while securing the child and the contents of the tray positioned at the back of the seat.